The UK cherry season for Booths runs during the summer from around July – September, depending on the weather! They come to us from Chicory Crops in Ross on Wye. The farm is owned and run by Jake Simpson and his brother Rupert. Rupert is the farmer and a qualified agronomist and Jake oversees the selling and packing of the fruit. 3rd generation fruit farmers, their grandfather started one of the first pick your own farms in the UK after the second world war and their father started a business growing chicory for the retail sector in the 1970’s. Currently they grow raspberries, gooseberries, cherries, damsons, apples and pears for retail. They specialise in growing specialist varieties for customers like Booths. 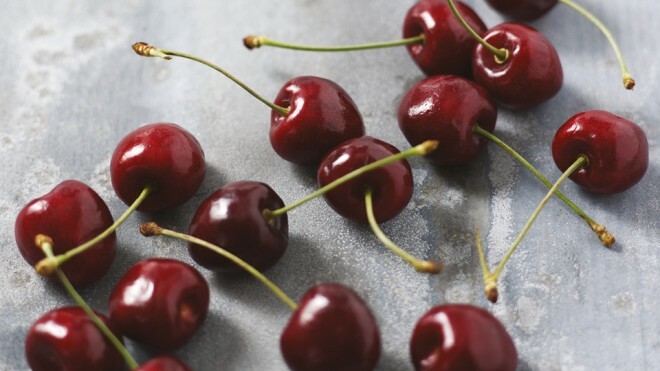 Situated next to the historic market town of Ross on Eye in the beautiful Herefordshire countryside, all of their cherries and raspberries are grown under covers to protect them from birds, frost, rain and hail. This allows them to produce a more consistent crop. We have a small farm of only 130 acres. It is really important that we work closely with customers like Booths to ensure that we sell all of the fruit that we produce for a fair price that allows us to plant more trees, and provide the Booths customer with the best product at an affordable price.We are proud to be Booths growers.